 Iran, Aug. 13, 2018 - The Caspian Sea legal convention was signed on Sunday after two decades of disputes. This accord will pave the path for the Caspian Sea to be divided between Azerbaijan, Kazakhstan, Russia, Turkmenistan and Iran. Further agreements were reached over a ban on ships belonging to countries other than the five bordering states, and the export of the Caspian’s oil and gas exports. The Aktau meeting was where the presidents of these five countries signed this agreement. Another disgraceful pact for Iran? Discussion over the portion remaining for Iran is a highly controversial issue. The Treaty of Trukemnchay was signed in February 1828, bringing an end to the Russo-Persian War (1826-28). Under this agreement, Iran’s sovereignty was limited to the Caspian Sea’s southern section and a total of 250,000 square kilometers of Iran’s lands were annexed by Russia. This comprised parts of today’s Armenia, Azerbaijan, and Turkey. Jabbar Kuchaki-nezhad, another member of the Iranian regime’s parliament from Rasht, said Iran’s share of the Caspian Sea is now 12 percent. 1. Following the fall of the Soviet Union in 1991, the government of the Iranian regime president Ali Akbar Hashemi Rafsanjani recognized the republics separating from the USSR. Tehran’s main intention was to gain influence in the Muslim nations bordering the Caspian Sea. The Iranian regime followed through with this policy knowing the recognition of these republics would endanger Iran’s 50 percent share of the Caspian Sea. 2. This made the new republics even bolder, pushing into signing hefty contracts with American and European oil companies. During the tenure of Iranian regime president Mohammad Khatami, the mullahs realized their rivals have left them no choice and agreed into a proposal by forfeiting they're 50 percent share by agreeing to a mere 20 percent for Iran. 3. When the government of Iranian regime president Mahmoud Ahmadinejad realized their northern neighbors had left nothing but 13 percent of the Caspian Sea for Iran, they gave into this disgrace in an attempt to exit this international isolation the regime had bought for the Iranian people. The Iranian regime has gone the distance to maintain its corrupt rule in power. In addition to vast domestic crackdown and quelling all voices of dissent, the Iranian regime has been wasting billions to continue their meddling in foreign countries and launching bloodbaths in Syria, Iraq, and Yemen, and developing their nuclear weapons and ballistic missile programs. This regime is now plundering the Iranian people’s wealth to garner political support from the north to confront its growing international isolation.